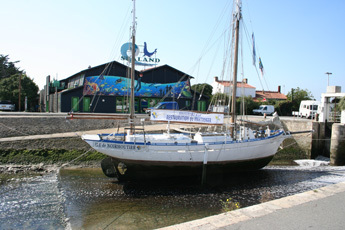 The Vendée has a wealth of things to do covering a very wide range. The rural and coastal landscape sets the theme for a large many of these options and this is enhanced by its incredibly colourful history, which adds depth to these options. The Vendée has no Cities or mountains meaning that many of the activities one associates with these types of places will of course be absent or at best limited, but it is more than made up for by the other things on offer. Perhaps one of the biggest problems is what to do when it is raining, especially when you have children who need to be kept occupied. This of course will vary depending on your family, the number and ages of the children and what things you as a family enjoy doing. The fact that the Vendée is one of the sunniest parts of France does not help the situation as most of the attractions are based on the outdoors. It is quite a good idea to look at the weather forecast and set aside one or two options for those days, these might include such things as aquariums, museums, art galleries, children’s play centres or just shopping. Rather than have a page with details of every conceivable thing to do we have simply categorised them into sections and sub-sections where we have pages for further details.